5801: Radio Playback (?) (tent) @ 00.05. SINPO 34343. 6310: Radio Malaisy @ 15.47. SINPO 54555. Excellent signal, as usual in case of this station. Giving ID at 15.48 and adding "broadcasting from Southern Europe". Thanks Dr. Tim for that nice card ! 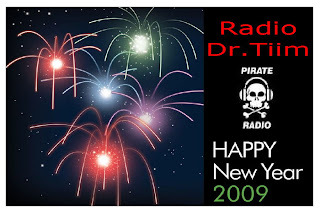 Happy New Year 2009 for all the DXers and free radio operators and listeners ! 6220: Mystery Radio @ 03.45. SINPO55555. Excellent signal at this New Year's 2009 night !! !